The Finance 202: Will Trump and Xi make a deal in Buenos Aires? President Trump and Chinese President Xi Jinping look primed to pause trade hostilities when they meet for dinner Saturday night in Buenos Aires. An emerging deal between the leaders of the world’s two largest economies would see the United States hold off a major hike in tariffs on $200 billion in Chinese imports. That move, an escalation from 10 percent to 25 percent, is scheduled to bite on New Year’s Day. In return for the United States shelving it, the Chinese could lift barriers to certain American goods. And the two sides would agree to enter negotiations toward a wider and more permanent agreement. The details come from the Wall Street Journal’s Bob Davis and Lingling Wei, who write that the two sides have been engaged in talks for weeks and are looking to set up a new “architecture” beyond this weekend’s G-20 summit for addressing a long list of American issues with Chinese trade and economic policy. Derek Scissors, a China expert at the American Enterprise Institute, independently confirms that “a basic trade deal has been set” along these lines. 1. How big a victory will Trump demand? The question of what, precisely, the Chinese will have to forfeit to satisfy the president has bedeviled Beijing and U.S. trade watchers since the confrontation launched earlier this year. It remains the most critical unknown. Trump rejected a truce that Treasury Secretary Steven Mnuchin negotiated with the Chinese in May requiring them to narrow the $375 billion trade deficit between the countries by purchasing more American goods. That precedent will make it difficult for Trump to declare victory over modest concessions from Beijing. But the Chinese will resist the sort of structural changes that Trump’s more hawkish advisers are demanding. Those include commitments to backing off the state subsides behind their Made in China 2025 plan, policing theft of American intellectual property, and lowering market access barriers for American companies. “Simply reducing the trade deficit between the United States and China is not good enough,” Robert Atkinson, president of the Information Technology and Innovation Foundation, writes in a Washington Post op-ed. “The Chinese government would like nothing more than to buy more U.S. soybeans and natural gas in exchange for a pass on its unfair practices, particularly those designed as part of its ‘Made in China 2025’ plan to dominate a wide range of advanced technologies." 2. Who’s got Trump’s ear? Trump’s trade advisers are divided into roughly into two camps: U.S. Trade Representative Robert Lighthizer and White House trade czar Peter Navarro toe the hardest line, while Mnuchin and perhaps to a lesser degree top White House economic adviser Larry Kudlow are seeking a deal with the Chinese in order to avoid an even nastier brawl. The hard-liners have looked ascendant for months. So it appeared significant when Navarro didn’t make the original lineup of advisers joining Trump at his dinner with Xi. But Navarro is actually slated to attend the dinner with Xi, news that sent the Dow Jones industrial average to its low of the day when CNBC reported it Thursday. 3. How much do shorter-term economic considerations weigh? Economic storm clouds are gathering at home. Wall Street economists are speculating about the odds of a recession, as growth looks poised to slow, potentially sharply, next year. Consumer confidence is showing signs of slipping; business investment is lagging; the housing market is in a funk; the stock market has been wobbly, and firms large and small are complaining about the impact of tariffs, as trading pain in farm states continues to sharpen. Trump has invested in finding boogeyman to blame for the turbulence, namely Federal Reserve chairman Jay Powell, whom he even cast as responsible for the General Motors plant closures announced this week. But as his reelection campaign swings into view, the president may feel compelled to back away from a trade war of choice that has the potential to transform a drizzle into a monsoon. 4. Do headlines from the Mueller probe follow Trump south? To the extent pressure from the probe crowds into Trump’s strategy in talks with Xi, China watchers say it could play out one of two ways. “Either he feels more under siege and wants to appear tougher, or he decides he can’t fight on 800 fronts at once and backs off,” one tells me. — Fed path remains uncertain. WSJ's Nick Timiraos: "Federal Reserve officials signaled plans to raise interest rates next month, but they appeared more uncertain about maintaining a pace of quarterly increases after that, minutes of the central bank’s recent policy meeting show… Since January, the statement has said officials expected that 'further gradual increases' in short-term rates would be necessary, and the central bank has raised rates by a quarter-percentage point every three months over the past year. Nick also runs down Powell's rules for dealing with Trump's attacks: "Rule 1: Speak not of Mr. Trump. Rule 2: When provoked, don’t engage. Rule 3: Make allies outside the Oval Office. Rule 4: Talk about the economy, not politics." The Post's Andrew Van Dam asks: Does Trump has a point about the Fed's hiking schedule? "Trump plays fast and loose with specifics, but he asks a legitimate question: Is it time to raise rates? ... Some prominent economists, including several who served in the Obama administration, seem to agree with elements of Trump’s argument. 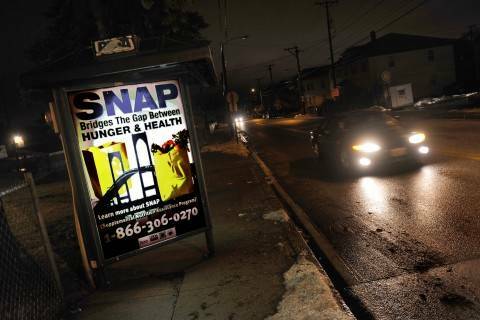 They say the Fed should move slowly because the economy is not as good as it seems, especially for disadvantaged groups." — Rising jobless claims stir worry. Bloomberg's Scott Lanman: "The rising number of Americans filing for unemployment benefits is starting to worry some economists, though the latest increases came during holiday periods typically associated with data volatility. Initial jobless claims rose 10,000 last week to 234,000, the third straight gain and the highest level since May, a Labor Department report showed Thursday... The last two weeks included the Thanksgiving holiday and observance of Veterans Day, and filings tend to show wider swings around such events. "'The weekly series tends to be noisy and the numbers can be especially choppy around the holidays towards the end of the year, but the trend in the data clearly has deteriorated over the past couple of months,' economist Daniel Silver of JPMorgan Chase & Co. wrote in a note Thursday." — NAFTA 2.0 signing today. Bloomberg's Josh Wingrove and co.: "The U.S., Canada and Mexico will sign their new trade deal Friday following a year of intense negotiations to revamp the continent’s free trade zone -- and after [Trump’s] threats to kill it. The countries plan to ink the U.S.-Mexico-Canada Agreement in Buenos Aires at the start of the Group of 20 summit, three officials familiar with the matter said... Leaders from the three countries will be present for the ceremony, though it’s unclear whether the heads of state will sign the document or cabinet-level officials. "Putting pen to paper will bring some certainty at a time of unease over global trade tensions, and be held up as an example of Trump-era deals as he prepares to meet China’s Xi Jinping at the G-20... Several hurdles remain. 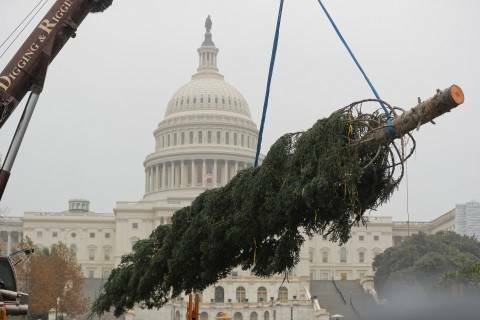 The agreement needs ratification to take effect, almost certainly by the next U.S. Congress. Some parts will kick in immediately, such as a deal exempting Canada and Mexico from U.S. auto tariffs. The fine print is still being tweaked, and Canada and Mexico remain at odds with the U.S. over tariffs on steel and aluminum." Sen. Elizabeth Warren (D-Mass.) says she'll vote against the deal in its current form. — G20 leaders struggle on communique. Reuters's Ross Colvin: "G20 member nations were still struggling to reach agreement on major issues including trade, migration and climate change as world leaders began arriving in the Argentine capital ahead of a summit starting on Friday. 'This is not a good year for multilateralism,' said a German government source about talks on a final statement that the leaders are due to issue at the end of their meeting on Saturday. The negotiations are 'very, very difficult,' the official told Reuters. The official offered no details on the points of dispute, but global trade tensions, fueled by [Trump’s] launch of a trade war against China, are expected to dominate this year’s gathering of the Group of 20, an unwieldy club of the world’s industrialized countries." 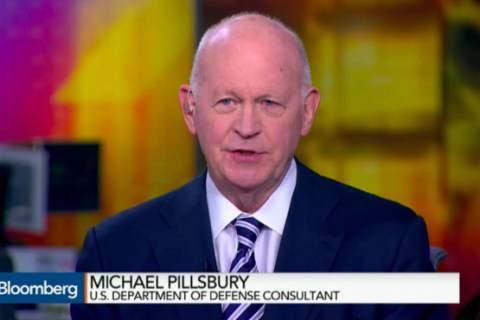 Washington veteran Michael Pillsbury has quietly become a key figure behind Trump's confrontational China policy, to the dismay of Beijing — and some fellow China experts. 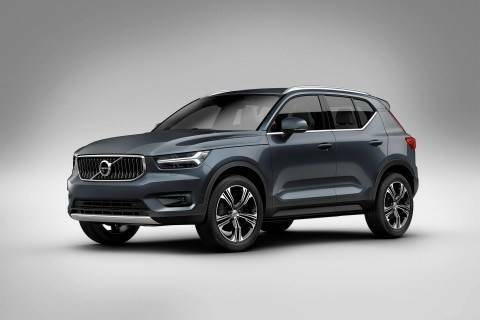 Volvo's global CEO, Håkan Samuelsson, told reporters at the Los Angeles Auto Show on Thursday that Volvo is slowing the pace at which production is being ramped up in Charleston, a move that will also result in a slowdown in hiring. “Michael Cohen, Trump’s former lawyer, pleads guilty to lying to Congress about Moscow project.” The Post’s Devlin Barrett, Matt Zapotosky and Rosalind S. Helderman. “Acting attorney general Whitaker was notified in advance of Cohen plea.” The Post’s Matt Zapotosky. “‘The perfect witness’: Dems want Cohen to testify on the Hill.” Politico’s Kyle Cheney and co.
“The legal perils that Michael Cohen’s guilty plea poses for Donald Trump.” New Yorker’s Jeffrey Toobin. “The Trump Organization planned to give Vladimir Putin the $50 Million penthouse in Trump Tower Moscow.” BuzzFeed’s Anthony Cormier and Jason Leopold. “Mueller eyes Ivanka and Don Jr.’s work on Trump Tower Moscow.” Yahoo News’s Hunter Walker. “‘We will be in Moscow’: The story of Trump’s 30-year quest to expand his brand to Russia.” The Post’s Rosalind S. Helderman and Tom Hamburger. 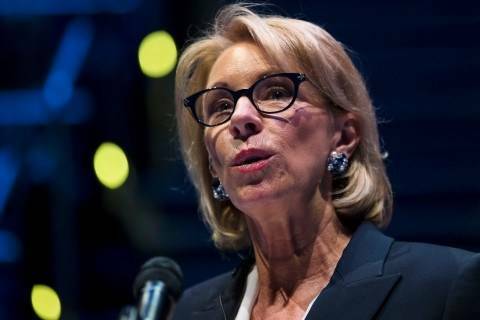 Education Secretary Betsy DeVos, Treasury Secretary Steven Mnuchin and Commerce Secretary Wilbur Ross made a chunk of their income from the sale of assets, including to avoid conflicts of interest. — Fed ramps up Goldman probe. Bloomberg's Andrea Tan and co.: "The Federal Reserve is ramping up its investigation into how Goldman Sachs Group Inc. executives dodged the bank’s internal controls while helping Malaysian authorities raise billions of dollars that later went missing, according to people briefed on the matter. The probe examines the actions of the New York-based investment bank as well as individuals and has been gaining momentum in recent weeks... The Fed doesn’t have the powers of a criminal prosecutor, but it can and often does sanction people involved in banking scandals. "The Fed has previously interviewed current and former employees at the firm, prying into how easy it is to short-circuit compliance systems, the people said. In recent weeks, representatives from Goldman Sachs met with the Fed and defended the bank’s controls, according to a person with knowledge of the matter." Police spend another day in Deutsche Bank headquarters. Reuters's Tom Sims and Hans Seidenstuecker: "Police searched Deutsche Bank’s headquarters in Frankfurt for a second day on Friday over money laundering allegations linked to the Panama Papers and shares in the company fell to a record low. The large volume of material being examined meant a search started on Thursday was still going on, a spokeswoman for the Frankfurt prosecutor’s office said, adding that offices of board members were included but without giving further details." — Sandberg requested Soros research. NYT's Nick Confessore and Matthew Rosenberg: "Sheryl Sandberg asked Facebook’s communications staff to research George Soros’s financial interests in the wake of his high-profile attacks on tech companies, according to three people with knowledge of her request, indicating that Facebook’s second in command was directly involved in the social network’s response to the liberal billionaire. Ms. Sandberg, Facebook’s chief operating officer, asked for the information in an email to a senior executive in January that was forwarded to other senior communications and policy staff, the people said. "The email came within days of a blistering speech Mr. Soros delivered that month at the World Economic Forum, attacking Facebook and Google as a 'menace' to society and calling for the companies to be regulated... The revelation complicates Ms. Sandberg’s shifting explanations of her role in Facebook’s decisions to hire Definers and go on the offensive against the social network’s growing legion of critics." 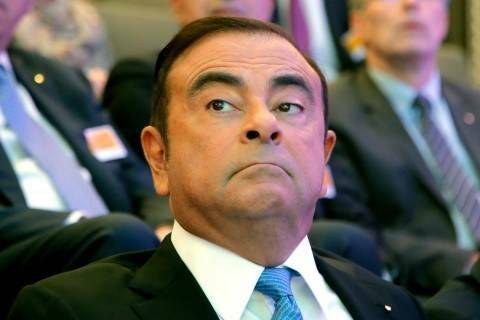 Carlos Ghosn can be detained without charge for an additional 10 days, a Tokyo court said, giving prosecutors more time to interrogate the former Nissan chairman about suspected financial offenses. — Dems reject GOP's wall plan. 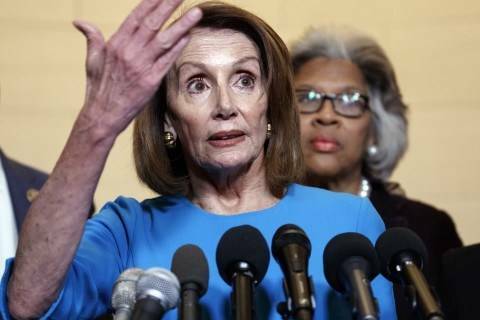 The Post's Erica Werner and Seung Min Kim: "Congressional Democrats said Thursday they’re prepared to reject a new GOP plan to get President Trump the money he is demanding for his border wall — escalating the chances of a partial government shutdown next week. The new Republican plan would deliver $5 billion for Trump’s long-promised U.S.-Mexico border wall by dividing the expenditure over two years — $2.5 billion in 2019 and $2.5 billion in 2020. But Democrats, who have rejected the idea of spending $5 billion on a wall Trump claimed Mexico would pay for, said splitting the money up over two years did not make it more palatable... Funding for the Homeland Security Department and a handful of other government agencies expires Dec. 7 at midnight. Unless Congress and Trump reach an agreement before then, a partial shutdown would begin. The panel will now cease to exist. House Republicans and President Trump backed the requirements.The Senate rejected them. 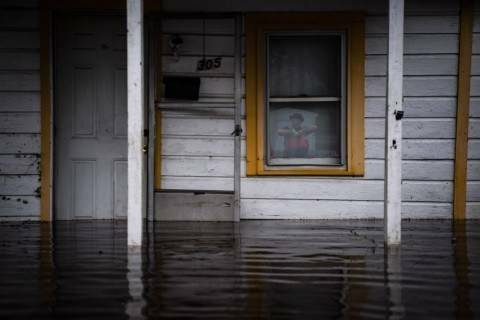 Congress passed a bill Nov. 29 that would push back the expiration of the National Flood Insurance Program by one week, extending the program with just a day before it would have lapsed. It was the first time super PACs outspent the Republican and Democratic congressional committees, showing the power amassed by the big-money outside groups. — Kraninger clears hurdle to heading CFPB. The Post's Renae Merle: "The Senate advanced Kathy Kraninger’s nomination to lead the Consumer Financial Protection Bureau in a key procedural vote Thursday, putting her one step closer to taking control of the polarizing consumer watchdog. The chamber voted 50 to 49, along party lines, to advance Kraninger’s nomination. A final confirmation vote could come as early as next week. If confirmed, Kraninger would replace the bureau’s acting director, Mick Mulvaney, who is also the White House budget chief and Kraninger’s current boss. She is expected to continue Mulvaney’s efforts to curtail the powers of the agency, which has long been criticized by Republicans as too aggressive." 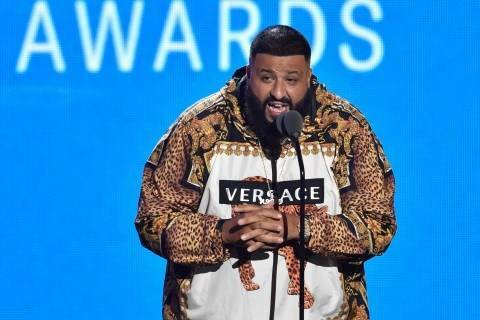 DJ Khaled and Floyd Mayweather Jr. were charged by the Securities and Exchange Commission for failing to disclose payments they received for promoting investments in initial coin offerings. Federal Reserve Chair Jay Powell appears before the Joint Economic Committee on Dec. 5.